Per gallon, printer ink is even more expense than many fine wines and Champagne. Thankfully, there are some ways that you can get the most out of your printer and ink. It is common for ink to run upward of $20 to $50 for cartridges. Most cartridges, even the high-efficiency ones, only yield between 400 and 1,000 printed pages. To make matters worse, it appears that the cost of ink continues to rise. From 2009 to 2012, it jumped 30 percent. Thankfully, there are a few things that you can do to cut down on your printing costs. Since you cannot really change the cost of ink, it all starts with the printer. While it may not sound like it would save a lot of ink, picking the right font is key to saving on ink costs. Studies have shown that thin fonts such as Century Gothic actually use less ink than Arial. For a company that prints at least 250 pages a week, this is a savings of $80 a year. In the grand scheme of things, this may not seem like a lot of money, but it is not that bad when you consider that all you have to do is switch your font. Some people like to think that they are technicians and that they can save money by fixing their printers themselves. Unfortunately, people who do this end up doing more harm than good. One study shows that the most common problem that occurs from people trying to fix their own printers is a reduction in print quality and a loss of ink. When looking for print services in Las Vegas, choose a company that can be your one-stop solution center and be on call for a monthly fee. Having more than one printer is a great way to save money. Dedicate one printer to black and white prints and the other to color prints. For printing black and white, use a laser printer. While these are far from perfect, they do make great workhorses and are easier on ink consumption. 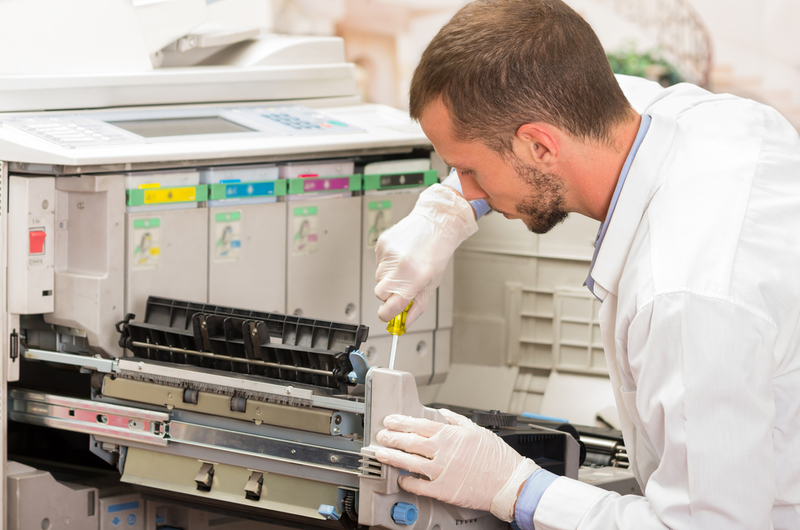 The cost of a copier repair can add up quickly particularly when you factor in downtime, but there are ways that businesses can avoid repairs and minimize costs when they do occur. Copier repair in Las Vegas can get expensive. Costs to consider include the service rate, replacement parts and downtime. Downtime can reduce employee productivity and even lead to a direct loss of profits. Many businesses pay more than they should, and there are steps that a business can take to lessen these costs and avoid interruption. 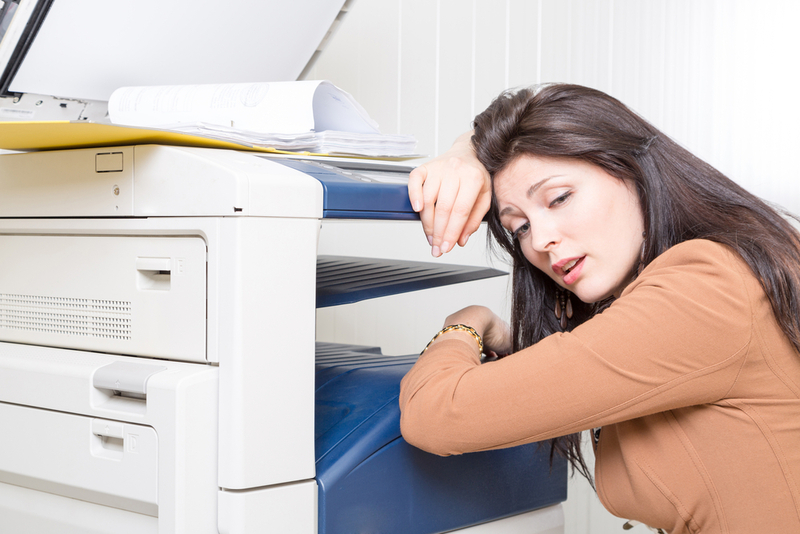 Many copier problems in an office environment occur due to user error, and one of the big mistakes small businesses often make is not providing adequate training. Companies that specialize in business machines often provide inexpensive training courses that take an hour or so and give your employees the skills they need to use the equipment properly. Any big problems that occur due to user error will usually involve the improper loading of a toner cartridge or the improper feeding of paper. This is not a task you want just anyone performing, but that’s how many offices handle the responsibility. The better way is to have an office manager or secretary responsible for these tasks. That person should inspect the copier each morning and at the end of the day as well. Some offices will seek to limit copier costs by avoiding maintenance and just paying when there is a problem, but this approach often leads to higher costs in the end. There are inexpensive plans available through many copier services. A technician will come on a recurring basis, get to know your machine and often be able to identify big problems before they manifest. 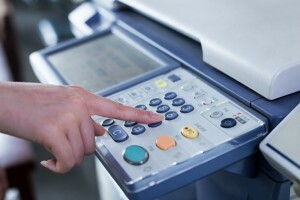 Managed print services are a great way for many businesses to meet all of their copier needs without any of the hassle. In this scenario, the managing company is responsible for any maintenance and repairs, and the company can even provide a replacement copier if there were to be significant downtime. If you have never considered using managed print services, you may want to think again. There are several benefits associated with these services that make them a prime option for you. If your business is like most others, you make ample use of your copier and printing equipment on a regular basis. These machines require you to regularly use toner, and you may pay for repair and maintenance services from time to time. You may not realize it, but managed print services in Las Vegas are available to help you with all of your printing needs, and they provide you with a number of exceptional benefits. Managed print services are unique from other services because they provide you with assistance with all of your needs. This includes supplies, such as toner, as well as services, such as repairs or maintenance. You will not need to use separate companies for each of them, and there is convenience in this. Managed print services are designed to be convenient, and they are designed to help you save time and money. You can compare the costs you normally spend on unmanaged services and supplies, and you can think about the downtime associated with repair work on your machines. You will find that there is a true benefit associated with using managed services. It can be difficult to decide if you need to use managed services or not, but the answer lies in the convenience and financial benefits associated with the services. When you take a closer look at the options, you will see that managed services are the right option for you. Having a print strategy is an important part of any business. Take a look at how to develop a print strategy. Does My Business Need a Print Strategy? If your office staff uses printers, copiers, or fax machines you need a print strategy. Even if you and your staff have evolved beyond the paper-based office, digital document management needs to be part of your overall strategy. You’ll want to create a roadmap that will enhance document and information security, increase employee efficiency and productivity, identify hidden costs, and reduce unnecessary operating costs. What are your true printing costs? Printing costs include more than the cost of the equipment lease, maintenance and repair, paper, and ink or toner cartridges. It includes the cost of technology. Considering the storage capacity of your equipment and the level of security needed, determine if you need on-site or cloud-based document storage. You need a strategy that is cost-effective, saves money, and improves your bottom line. First, develop simple metrics to evaluate and manage your print strategy. Next, make a list of best practices with your staff to increase efficiency and productivity. Finally, decide on some benchmarks to help you identify and reduce waste and lower operational costs. For example, decide if it’s better to make hard-copies of documents, or scan to images. If you have an IT department this is a great place to start putting your strategy together. The better-managed print services in Las Vegas offer more than supplies and service. They will also help you integrate document management for your mobile staff and reduce your environmental impact. You need to look for more than just an equipment vendor or repair technician. Consider managed print services as part of your total strategy to improve productivity and profitability. 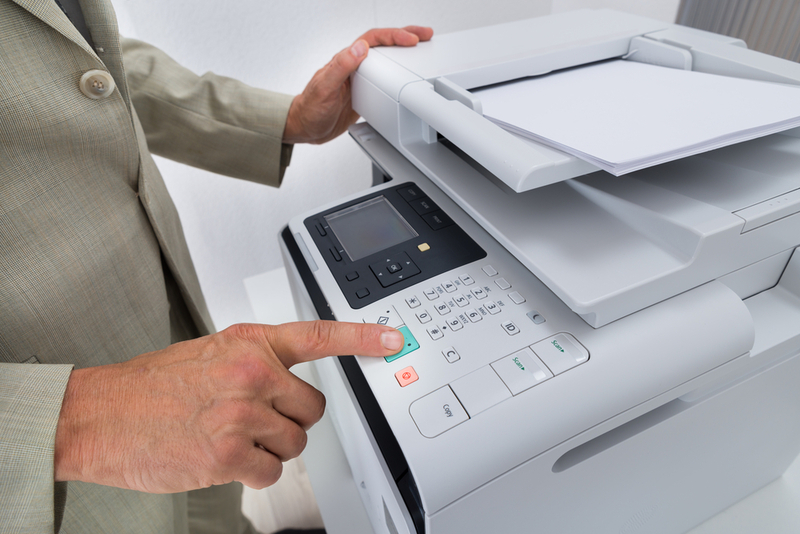 The copy machine in most offices is often responsible for handling print jobs, incoming and outgoing faxes and other electronic transmissions. Being able to troubleshoot your copy machine can help you to solve problems as quickly as possible. Every office’s copy machine is heavily used on a day-to-day basis. From making copies of meeting agendas to printing large documents, the copy machine has a heavy workload. When the copier gives you an error message, you could consider having your IT department do some troubleshooting rather than immediately calling for a professional copy machine service to come and take a look. In many cases, the problem is electronic rather than with the copy machine itself. Most copiers are programmed to be on your Wi-Fi or Ethernet network. If there is a problem with the network, then the copy machine will not get the information that it needs in order to do its job. This is especially true when the copier is being used for printing. Your IT department can check the network signals and make sure that the copier has network access. 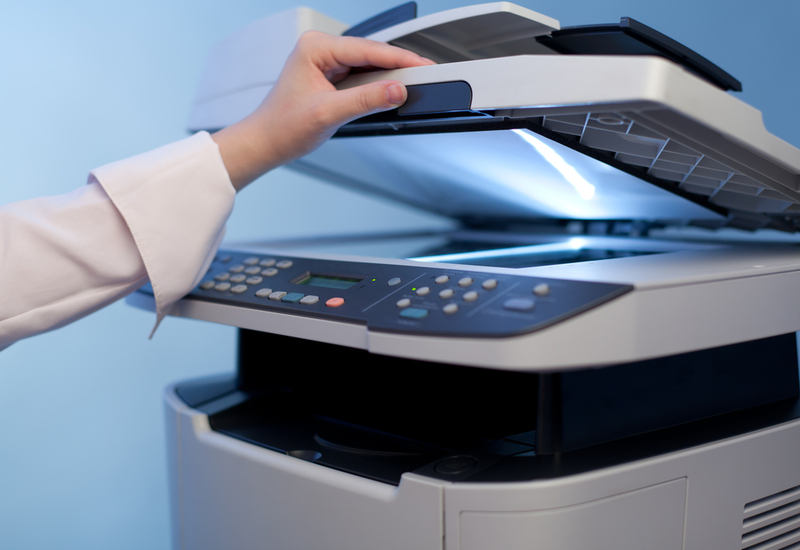 Another common IT-related copy machine problem is when a particular workstation or device is unable to send print jobs to the copier. When the problematic device is located within your business, your IT department can take a look at the permissions levels. A password reset may have caused the copier to be removed from the connected devices. Newly purchased devices may need to be manually connected to each of the copy machines within your business. Many copy machines will only accept an original equipment manufacturer toner cartridge. These toner cartridges have a chip installed. The chip communicates to the machine that it is the correct type of toner. If your copy machine is giving an error related to the toner and you have just replaced the cartridge, it could be that the toner’s chip is not compatible with your copy machine.